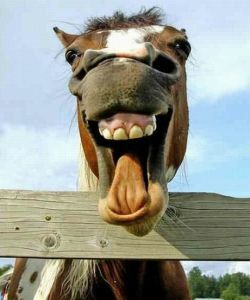 The meaning of the proverb “Don’t look a gift horse in the mouth” is, when given a present, be grateful for your good fortune and don’t look further to assess its value. However, this may not be sound advice in our legal arena. Gifts and incentives designed to influence your decision on which firm to use for court reporting services are coming in all forms. You might wonder why your court reporter doesn’t offer such incentives. The answer is simple: According to the National Court Reporters Association (NCRA) and the American Bar Association, as well as many state bar associations, these practices can be considered unethical, especially when considering the value of the gifts and the terms under which they are being offered. Additionally, these gifts may come with some unintended tax consequences for you, your law firm, and the court reporters who give them. Before accepting these gifts, you should investigate how the gifting practices of your firm’s vendors (including court reporters) apply to the rules in your state. The Model Rules of Professional Conduct, Client-Lawyer Relationship, Rule 1.8, Conflict Of Interest state: (f) A lawyer shall not accept compensation for representing a client from one other than the client unless: (1) the client gives informed consent; (2) there is no interference with the lawyer’s independence of professional judgment or with the client-lawyer relationship. ABA Formal Opinion 93-379 Billing for Professional Fees, Disbursements and Other Expenses offers further clarity: “In the absence of disclosure to the contrary…if a lawyer receives a discounted rate from a third party provider, it would be improper if she did not pass along the benefit of the discount to her client rather than charge the client the full rate and reserve the profit to herself. Clients quite properly could view these practices as an attempt to create additional undisclosed profit centers when the client had been told he would be billed for disbursements,” (Peter Geraghty, 2010). While non-lawyers are not subject to professional discipline, the lawyer for whom they work is responsible for ensuring that their conduct is compatible with their own professional and ethical obligations. Many of these incentive programs target the staff that book depositions–$100 gift cards, iPads, Wii systems, points redeemable for limousine rides, artwork, etc. Because of the ubiquity and popularity of these type of offerings in the marketplace, the impropriety of these exchanges by court reporters may not be evident at first glance. A court reporter’s duties in our legal system have many similarities to that of a judge. If gifts, gift cards, or money were exchanged between judges, litigants, and attorneys in a case, red flags would certainly be raised. Like judges, court reporters are expected to carry out their duties in a fair and impartial manner. Our justice system simply can’t be bought and sold to those offering the highest reward, incentive, or kickback. To protect against these practices, many law firms, governmental agencies, and bar associations have a strict policy that prohibit the acceptance of gifts from vendors. How the Internal Revenue Service views these gifts is also of great concern. The law firm of Hanson Bridgett has been retained to review the tax implications of these incentives. Hanson Bridgett opines: “Given that the incentives provided by Reporting Firms in exchange for business are payments for services rather than gifts, the [Internal Revenue Code] requires the recipients of those payments to treat the value of the incentives as gross income.” This means that recipients must report the value of the incentives they receive as income on their tax returns. Failure to do so could result in the assessment of additional taxes, interest, and penalties by the Internal Revenue Service. In fact, a law firm having a general policy in place that disallows acceptance of gifts may not be sufficient to avoid tax consequences. According to the Hanson Bridgett memo, “Where law firms have policies in place prohibiting employees from accepting incentives, serious tax issues may still arise to the extent these policies are not enforced,” (Wendy L. Taurianinen, February 2011). Moreover, the Hanson Bridgett memo details that there are serious tax and IRS issues as well for the court reporting firms offering these incentives. Court reporters would be wise to adhere to their Professional Code of Ethics for their own sake. NCRA has recently updated its Guidelines for Professional Conduct to forbid all forms of incentive gifts in exchange for bookings. They advise that reporters must, “Refrain from giving, directly or indirectly, any gift or anything of value to attorneys or their staff, other clients or their staff, or any other persons or entities associated with any litigation, which exceeds $150 in the aggregate per recipient each year. Nothing offered in exchange for future work is permissible, regardless of its value.” The guidelines prohibit any form of cash or point systems as acceptable gifts and also provide for a fair market valuation of the gifts being offered to further guide court reporters on how to avoid the appearance of impropriety. 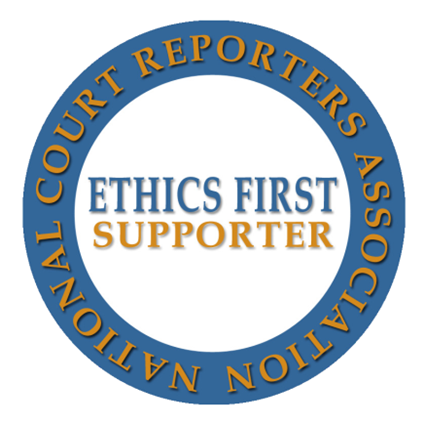 To promote awareness of these issues, NCRA is attempting to educate attorneys, staff, and the consumers of legal services through positive peer pressure among its members with an expanded marketing campaign called Ethics First. 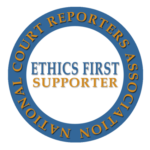 Court reporters and court reporting agencies who agree to abide by these voluntary guidelines are allowed to display the Ethics First logo, which when used properly, will instill confidence in consumers of the legal system and the general public. Attorneys, law firms, and judges are encouraged to participate as well. For more information about Ethics First, visit http://ncraonline.org/ethicsfirst. Since the litigants in a case are the ones who are ultimately paying for any incentive dependent on procurement of work in the invoices for services, litigants are unknowingly funding the bill for some vendors’ marketing strategies. States like Nevada, Tennessee, Arizona, California, Montana and others have regulations that forbid these transactions. Formal complaints have been filed and violations have resulted in public reprimand and fines imposed. In other venues, where law does not exist forbidding these practices, the conduct of court reporters may only be constrained by the $25 limit for gifts set out in the IRS Code and voluntary professional guidelines. A diligent reporter who complies with the NCRA guidelines may need to limit the remainder of the $150 per client to items that are truly marketing in nature or for entertainment related to client development. Whether a violation of the professional guidelines for court reporters, the rules governing attorneys, or tax law, caution should be exercised when it comes to the exchange of gifts. The pitfalls associated with lack of compliance can be detrimental for all involved in the legal system. Sources: Peter Geraghty, ABA Center for Professional Responsibility (2010, March). Frequent flyer miles, gifts, discounts and rebates from third party providers. ETHICSearch. Wendy L. Taurianinen, Esq. (February 2011). In re: Taxation of incentives given by court reporting and deposition reporting firm. Attorneys, law firms, judges, and professional associations are invited to participate in the Ethics First program in order to help promote ethical standards within the legal profession. To show your support and download the logo, sign up today.